To prepare for these changes; I have made modifications in the app. The updated versions for Android and iOS clients are now live and ready to download / update. Please note that because these changes are critical; I issued a force update; meaning that you will have to update your app to the latest version before you can use Where is Xur? any further. Please update your app as soon as possible. Vestian Outpost Map. Click to see a larger version. I am currently working on these improvements and will release the proper updates as soon as possible. 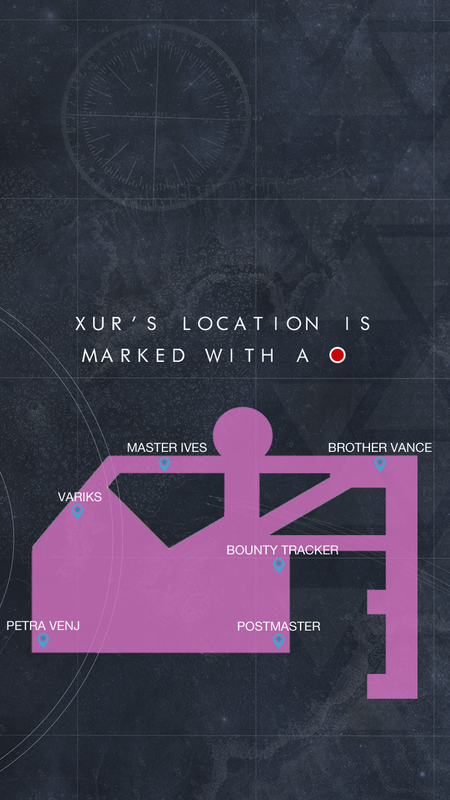 This app should tell me when xur leaves!!!!!!!!! !